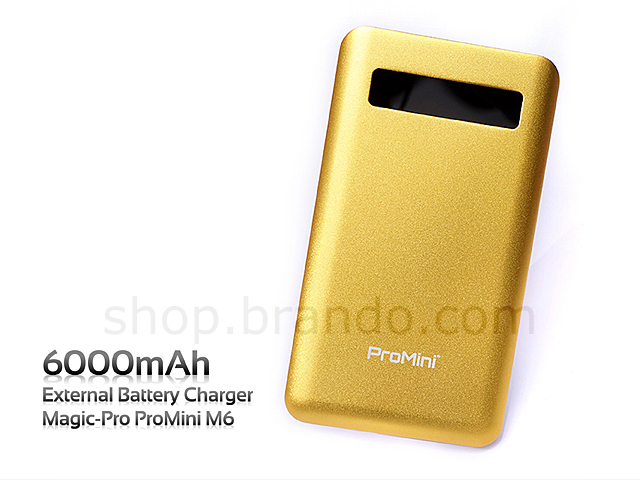 Magic-Pro Promini M6 portable external battery charger features ultra thin appearance and supports multi-safe configuration. 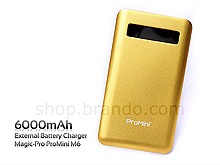 Promini M6 battery uses CNC (Computer Numerical Control) casting technique in aluminum cover which not only has better feel, but is also thinner and tougher than previous models. With amazing touch sensitive screen panel, it looks more chic and fashion. 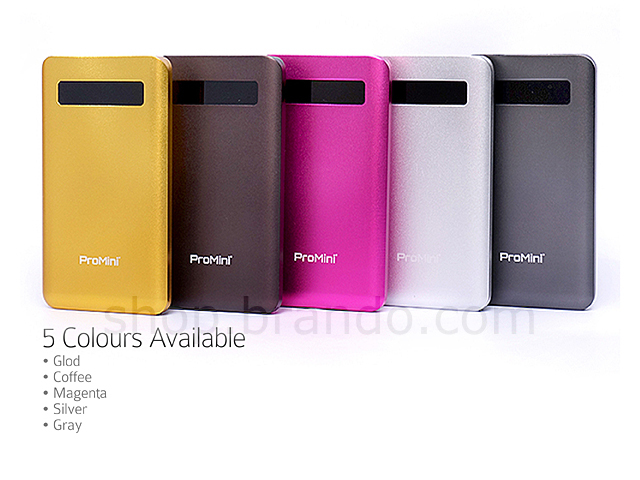 Available in five colors for different styles of users. 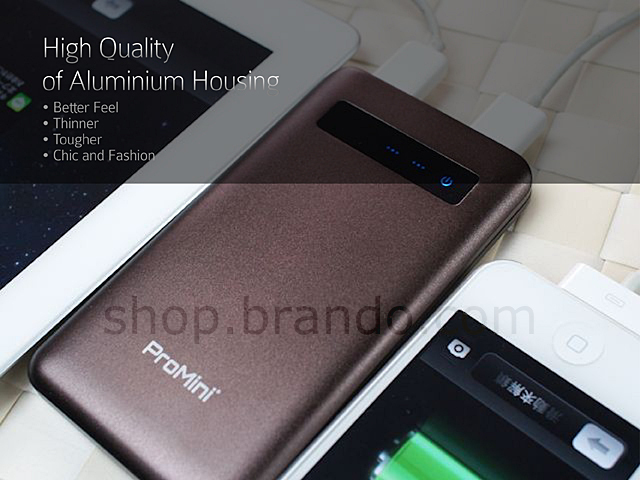 In addition to the exquisite appearance of M6, built-in 6000mAh high capacity surely satisfies users who have high demand of battery capacity for their devices. 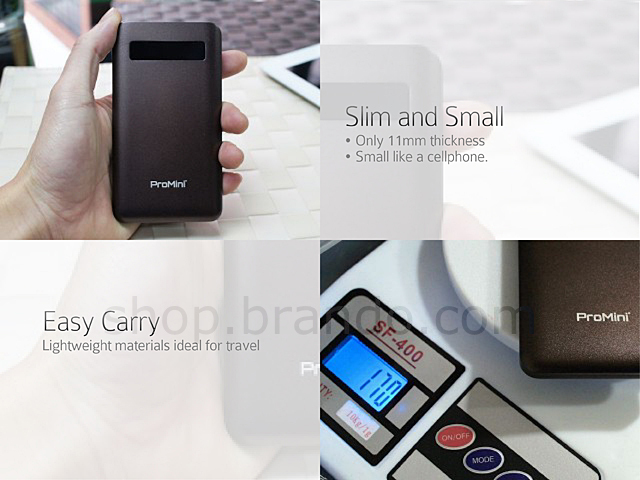 In spite of the high capacity battery, it is still small and slim, only 11mm thickness size like a cellphone. 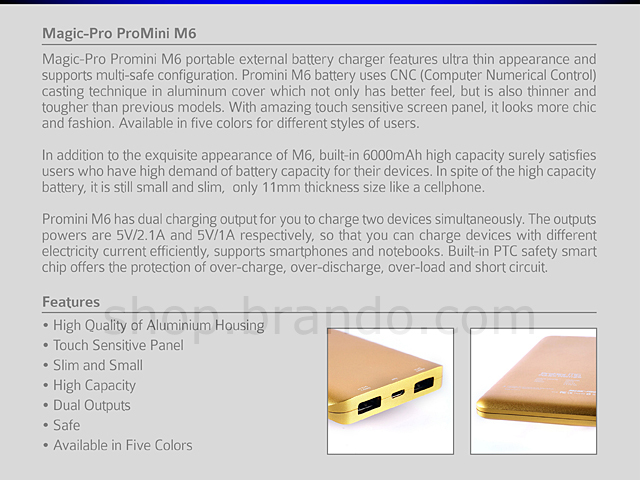 Promini M6 has dual charging output for you to charge two devices simultaneously. 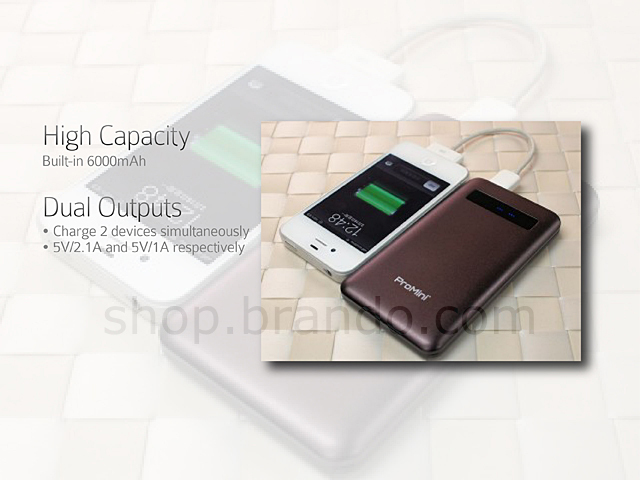 The outputs powers are 5V/2.1A and 5V/1A respectively, so that you can charge devices with different electricity current efficiently, supports smartphones and notebooks. 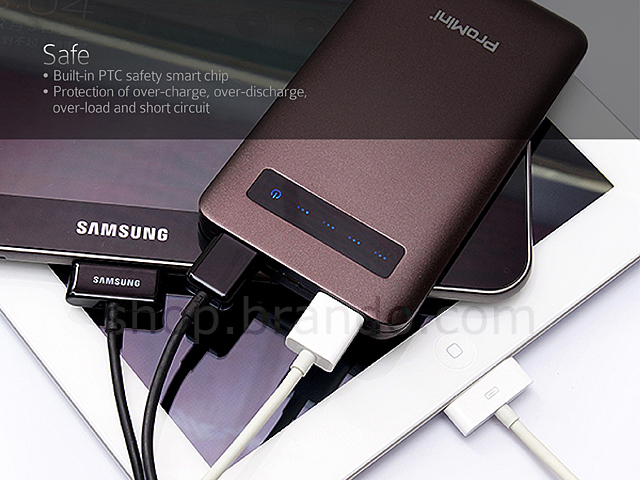 Built-in PTC safety smart chip offers the protection of over-charge, over-discharge, over-load and short circuit. Press and hold the touch panel for 3 seconds to power on the battery. One press to turn on the blue light battery indicator.